Stands for “Parameter Random Access Memory,” and is pronounced “P-ram.” PRAM is a type of memory found in Macintosh computers that stores system settings. These settings include display settings (like screen resolution and color depth), the time zone setting, speaker volume, and the startup volume choice. The system settings that are stored in the computer’s PRAM differ from Mac to Mac, but the purpose of the memory remains the same. If your Macintosh is behaving erratically or is not booting up all the way, you may want to try resetting the PRAM. You can reset or “zap” the PRAM on a Mac by pressing and holding the Command, Option, P, and R keys right as you turn the computer on. Yes, there are four keys you need to hold down at the same time. Once your hear the startup chime a second time, the PRAM has been reset and you can release the keys. Note that if you choose to zap your PRAM, you may need to set your display, time zone, startup volume, and other affected settings using System Preferences. Some firmware updates may reset your PRAM as part of their installation process, which will means you will have to reset the affected settings after the installation. Just like humans, computers rely a lot on memory. They need to process and store data, just like we do. However, computers store data in digital format, which means the information can always be called up exactly the way it was stored. Also, unlike our memory, the computer’s memory doesn’t get worse over time. While memory can refer to any medium of data storage, it usually refers to RAM, or random access memory. When your computer boots up, it loads the operating system into its memory, or RAM. This allows your computer to access system functions, such as handling mouse clicks and keystrokes, since the event handlers are all loaded into RAM. Whenever you open a program, the interface and functions used by that program are also loaded into RAM. RAM is a very high-speed type of memory, which makes it ideal for storing active programs and system processes. It is different than hard disk space in that RAM is made up of physical memory chips, while hard disks are magnetic disks that spin inside a hard drive. Accessing RAM is much faster than accessing the hard disk because RAM access is based on electric charges, while the hard drive needs to seek to the correct part of the disk before accessing data. However, all the information stored in RAM is erased when the computer’s power is turned off. The hard disk, on the other hand, stores data magnetically without requiring any electrical power. For more information on the difference between RAM and hard disk space, view this Help Center article. Another common type of memory is flash memory, which is typically used for small devices such as digital cameras, USB keychain drives, and portable music players like the iPod nano. This kind of memory, known as “electrically erasable programmable read-only memory” (EEPROM), is convenient for portable devices, since it stores information even when its power source is turned off, but is smaller and more resilient than a hard drive. To summarize, memory is a vital part of the way computers and many electronic devices function. While memory and RAM can often be used synonymously, it is good to know about other types of memory as well. Hopefully you will be able to store the information you’ve learned in your own memory. Stands for “Media Access Control Address,” and no, it is not related Apple Macintosh computers. A MAC address is a hardware identification number that uniquely identifies each device on a network. The MAC address is manufactured into every network card, such as an Ethernet card or Wi-Fi card, and therefore cannot be changed. Because there are millions of networkable devices in existence, and each device needs to have a unique MAC address, there must be a very wide range of possible addresses. For this reason, MAC addresses are made up of six two-digit hexadecimal numbers, separated by colons. For example, an Ethernet card may have a MAC address of 00:0d:83:b1:c0:8e. Fortunately, you do not need to know this address, since it is automatically recognized by most networks. Typically, we all take a moment to reflect on what we have to be thankful for at Thanksgiving. However, Ralph Waldo Emerson suggests we should do this more frequently. 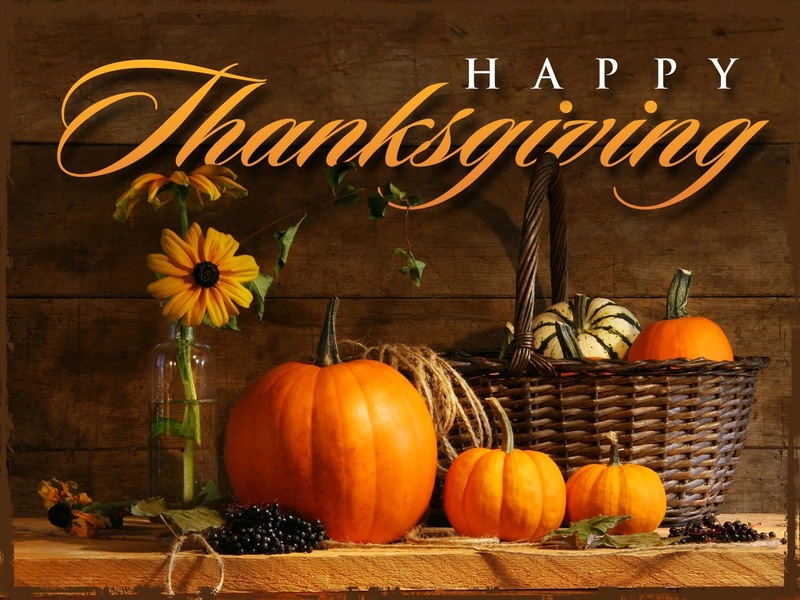 At Zerofail Southeast we are grateful for our customers and look forward to future endeavors. A menu bar is a user interface element that contains selectable commands and options for a specific program. In Windows, menu bars are typically located at the top of open windows. In OS X, the menu bar is always fixed at the top of the screen, and changes depending on what program is currently active. For Macs with multiple screens, OS X Mavericks (OS X 10.9) displays a different menu bar for the active application within each screen. While menu bar items vary between applications, most menu bars include the standard File, Edit, and View menus. The File menu includes common file options such as New, Open…, Save, and Print. The Edit menu contains commands such as Undo, Select All, Copy, and Paste. The View menu typically includes zoom commands and options to show or hide elements within the window. Other menu bar items may be specific to the application. For example, a text editor may include a Format menu for formatting selected text and an Insert menu for inserting pictures or other media into a document. A web browser may include a History menu for reviewing previously visited websites and a Bookmarks menu for viewing bookmarked webpages. Many programs also include Window and Help menus for selecting window options and viewing Help documentation. If you browse through the options in a menu bar, you’ll notice many of the items have symbols and letters next to them. These are keyboard shortcuts that allow you to perform commands in the menu by simply pressing a key combination. For example, the standard keyboard shortcut to save a file is Control+S (Windows) or Command+S (Mac). By pressing this key combination, you can quickly save an open document without even clicking the menu bar. While common commands often have keyboard shortcuts, other menu items may not have a shortcut associated with them. These items can only be selected by choosing the command or option within the menu bar. A toolbar is a set of icons or buttons that are part of a software program’s interface or an open window. When it is part of a program’s interface, the toolbar typically sits directly under the menu bar. For example, Adobe Photoshop includes a toolbar that allows you to adjust settings for each selected tool. If the paintbrush is selected, the toolbar will provide options to change the brush size, opacity, and flow. Microsoft Word has a toolbar with icons that allow you to open, save, and print documents, as well as change the font, text size, and style of the text. Like many programs, the Word toolbar can be customized by adding or deleting options. It can even be moved to different parts of the screen. The toolbar can also reside within an open window. For example, Web browsers, such as Internet Explorer, include a toolbar in each open window. These toolbars have items such as Back and Forward buttons, a Home button, and an address field. Some browsers allow you to customize the items in toolbar by right-clicking within the toolbar and choosing “Customize…” or selecting “Customize Toolbar” from the browser preferences. Open windows on the desktop may have toolbars as well. For example, in Mac OS X, each window has Back and Forward buttons, View Options, a Get Info button, and a New Folder button. You can customize the Mac OS X window toolbars as well. Toolbars serve as an always-available, easy-to-use interface for performing common functions. So if you haven’t made use of your programs’ toolbar options or customization features in the past, now is a good time to start! When you save data or install programs on your computer, the information is typically written to your hard disk. The hard disk is a spindle of magnetic disks, called platters, that record and store information. Because the data is stored magnetically, information recorded to the hard disk remains intact after you turn your computer off. This is an important distinction between the hard disk and RAM, or memory, which is reset when the computer’s power is turned off. The hard disk is housed inside the hard drive, which reads and writes data to the disk. The hard drive also transmits data back and forth between the CPU and the disk. When you save data on your hard disk, the hard drive has to write thousands, if not millions, of ones and zeros to the hard disk. It is an amazing process to think about, but may also be a good incentive to keep a backup of your data.